Menjadi narasumber untuk Metro TV membahas mengenai hacker yang lagi hot belakangan ini pasca tertangkapnya beberapa oknum Black Hat Hacker oleh Polri dan FBI. Menjadi hacker harus tahu betul makna ‘Hacker Manifesto’. Bahwa tujuan dari kegiatan ini adalah untuk ilmu pengetahuan. Tindakan hacking yg merugikan pihak lain dengan alasan tidak berdasar apalagi untuk tujuan memperkaya diri adalah tindakan yg tidak dibenarkan. This entry was posted in Me on Media and tagged hacker, hacking, me on media, media, media coverage, metro tv, tyovan, tyovan ari widagdo on March 17, 2018 by Tyovan Ari Widagdo. 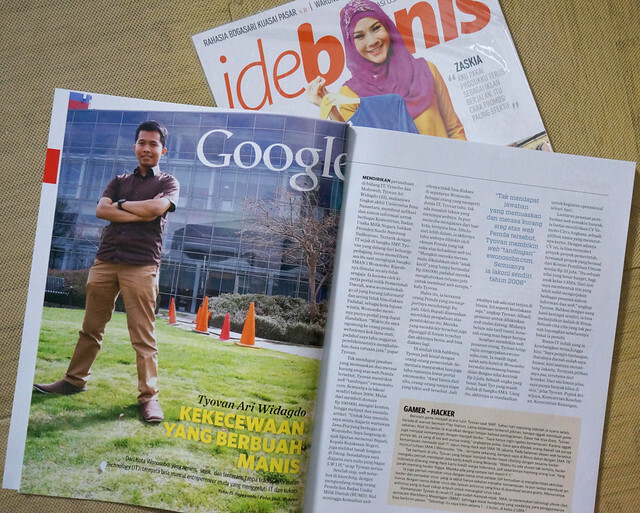 Covered by Ide Bisnis Magazine, a famous business magazine in Indonesia. August 2013 Edition. 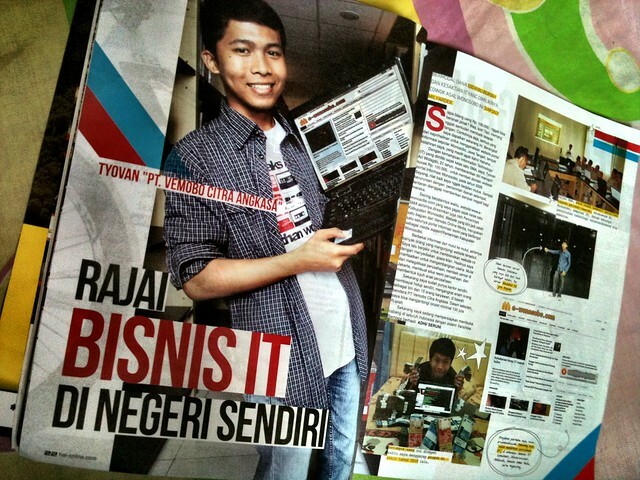 This entry was posted in Me on Media and tagged ide bisnis, idebisnis, kompas, magazine, majalah, me on media, media, publication, tyovan on November 15, 2013 by Tyovan Ari Widagdo. 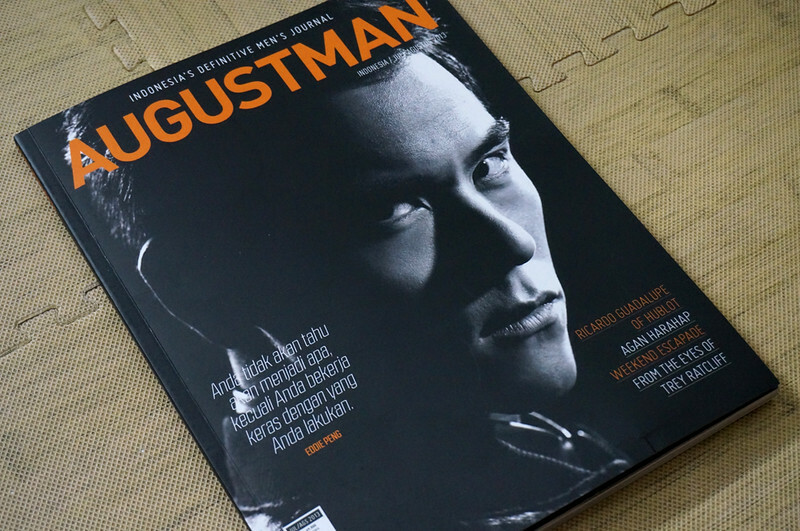 Covered by Augustman Magazine, a famous life style magazine based in Singapore. August 2013 Edition. 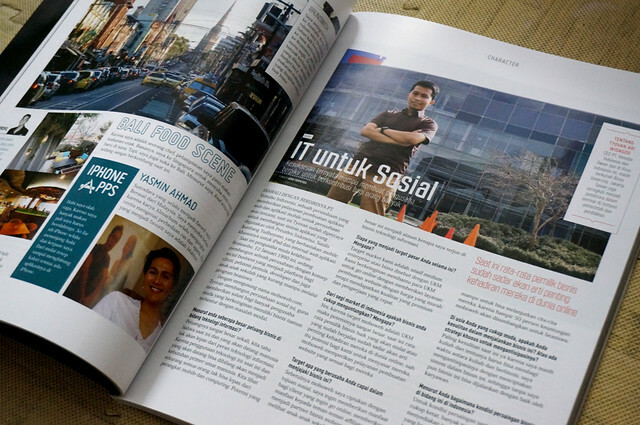 This entry was posted in Me on Media and tagged augustman, magazine, majalah, me on media, media, publication, singapore, tyovan on November 15, 2013 by Tyovan Ari Widagdo. 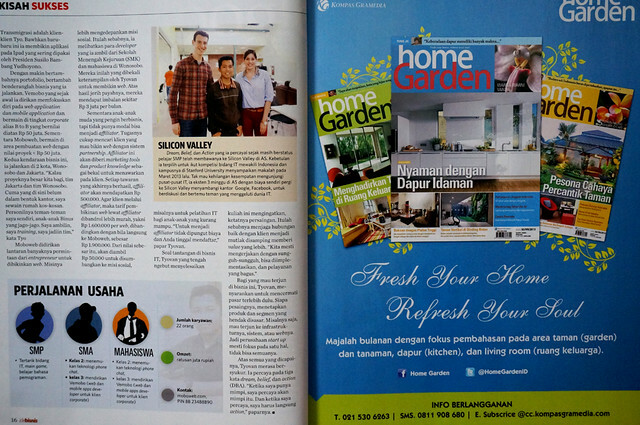 Covered by Jawa Pos, a famous newspaper in Indonesia, 13 August 2013 editon. This entry was posted in Me on Media and tagged jawapos, me on media, media, press, publication, tyovan, tyovan ari widagdo on November 15, 2013 by Tyovan Ari Widagdo. 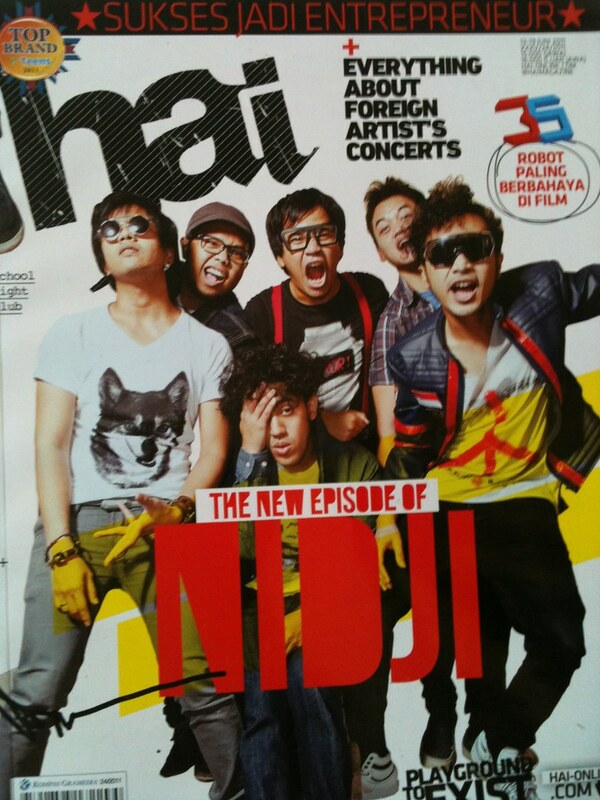 Covered by Hai Magazine, a famous life style magazine in Indonesia, August 2011 edition. This entry was posted in Me on Media and tagged hai magazine, heroes among us, magazine, me on media, media, press, publication, tyovan, tyovan ari widagdo on November 15, 2013 by Tyovan Ari Widagdo. 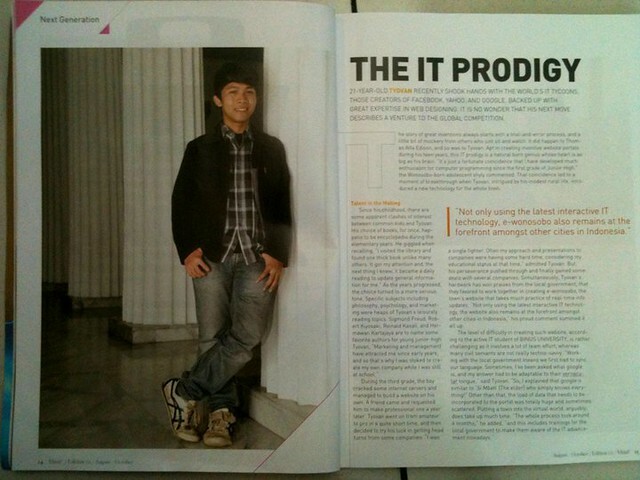 My profile covered by Mindplus Magazine, a famous education magazine in ASIA, August 2011. This entry was posted in Me on Media and tagged binus university, magazine, me on media, media, press, publication, tyovan, tyovan ari widagdo on November 15, 2013 by Tyovan Ari Widagdo. 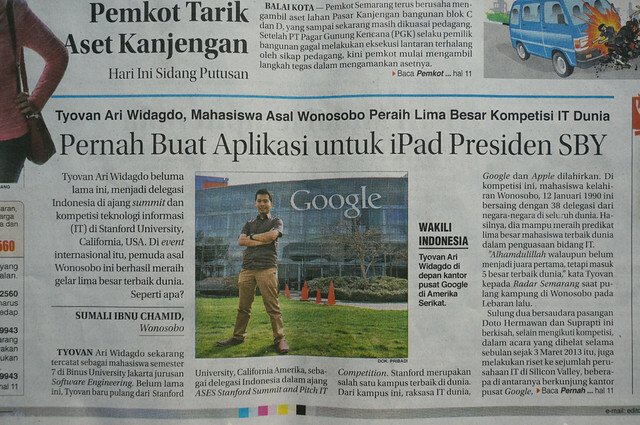 Covered by Jawa Pos, a famous Indonesian newspaper 5 November 2011 edition. 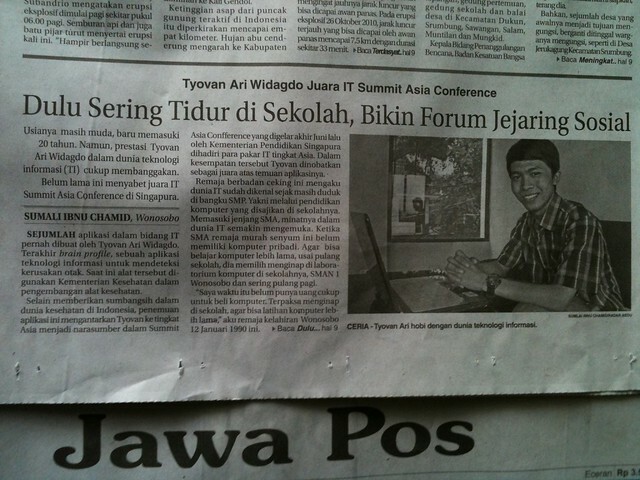 Tyovan on Jawa Pos, 5 November 2013. This entry was posted in Me on Media and tagged jawapos, koran, me on media, media, newspapper, press, publication, tyovan, tyovan ari widagdo on November 15, 2013 by Tyovan Ari Widagdo.